I’m playing catchup here on some things here. 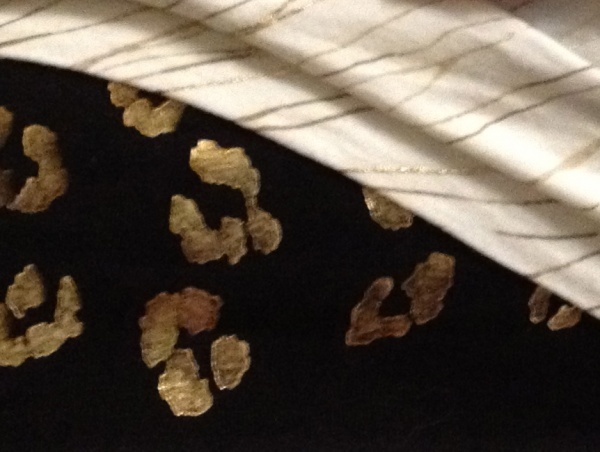 This outfit, let’s see, I wore it March 27th! Oops. 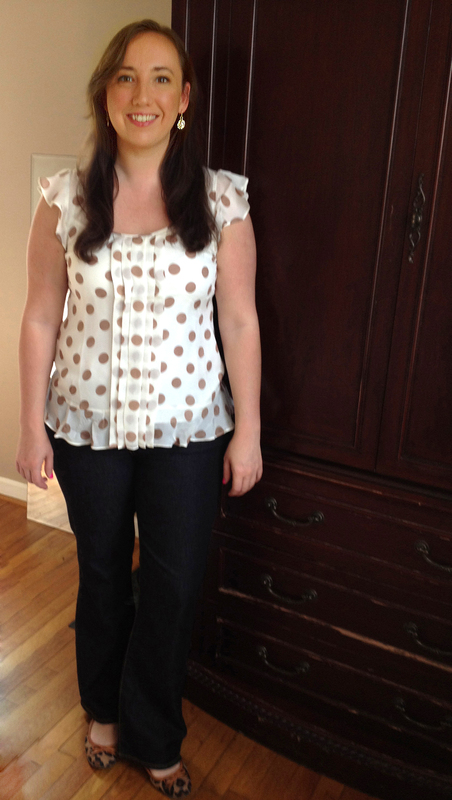 It’s been a repeat outfit though because I really love the polka dot shirt I found at the Talbot’s outlet. Click for a larger view. And then there are the nails. 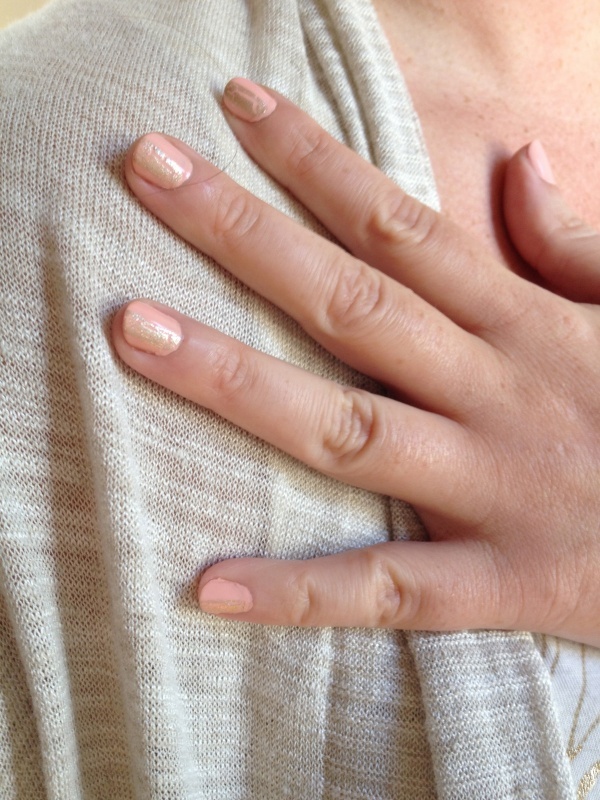 I actually did a full post on the nails before but you can tell here that they really can work well with neutrals. 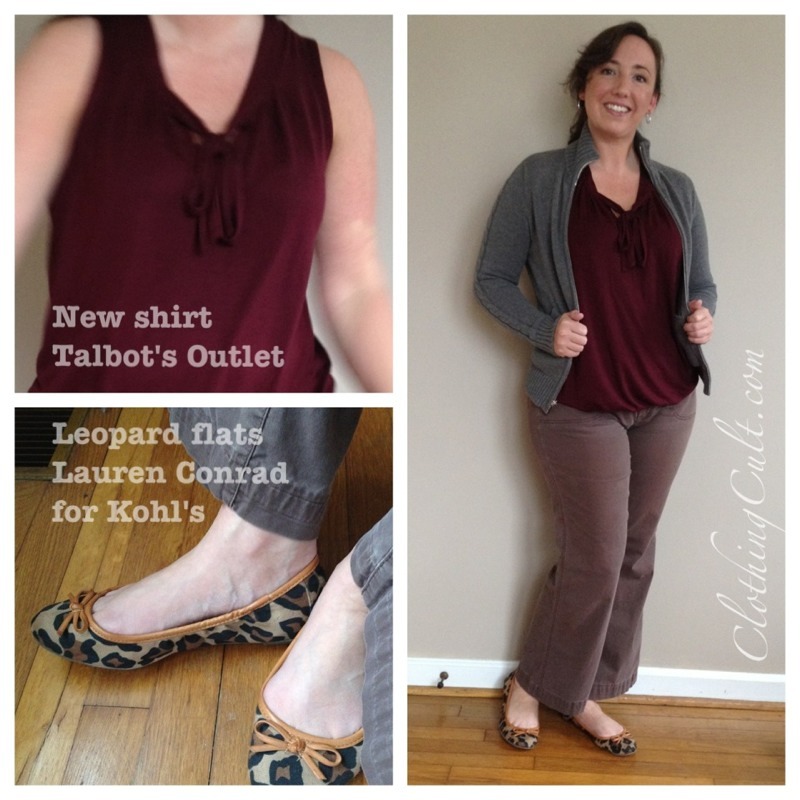 I’ve been loving these leopard ballet flat’s I picked up on sale after Christmas at Kohl’s. I had been eyeing them for awhile but had them on my Christmas wish list so I had resisted buying them. And the shirt, it’s not something I would normally pick up because of the bow and the waistband that makes it look tucked in. I liked wearing it though and it’s uber comfy too.